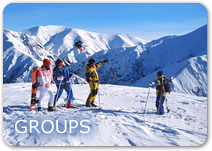 Independent Ski Links want to ensure that you get the most out of your holiday. Displayed below is a list of other website that might provide useful (or simply interesting) information to help you on your way. The inclusion of these links on our website does not mean that we endorse any material on the linked sites or have any association with them whatsoever.